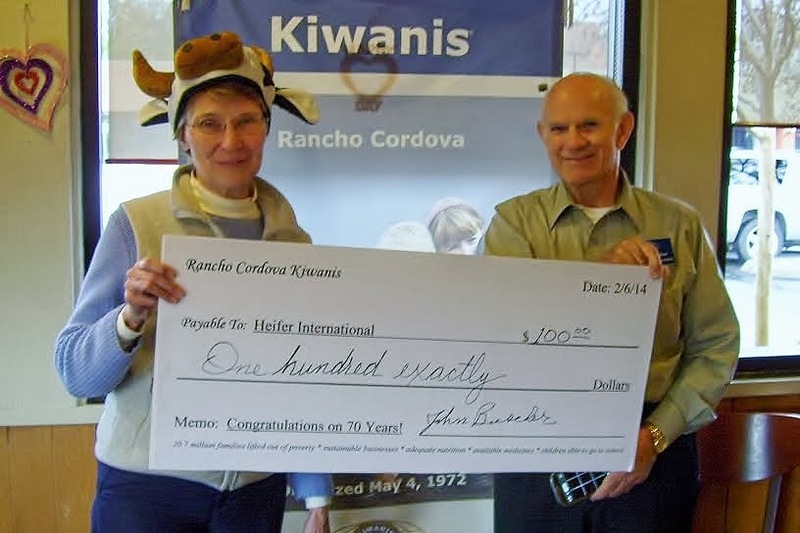 Feb. 2014 - The Rancho Cordova Kiwanis Club gave $100 to Heifer International, to celebrate their 70th anniversary and their work worldwide to end hunger and poverty. Kiwanis President John Buescher said, "Heifer International's goals are so similar to our own, and their programs are remarkably effective in lifting entire communities out of poverty." The mission of Kiwanis International is "Serving the Children of the World." The Rancho Cordova Kiwanis Club has a long history of community involvement. The club founded the 4th of July Parade in Rancho Cordova, supports the Key Club (a youth leadership program at Cordova High School), participates in Kid's Day, provides breakfast at the Capital Airshow, lends support to a local girl scout troop, and supports the Folsom Cordova Unified School District with events throughout the year. We are proud to have the Rancho Cordova Kiwanis' support in Heifer's work to improve children's lives. 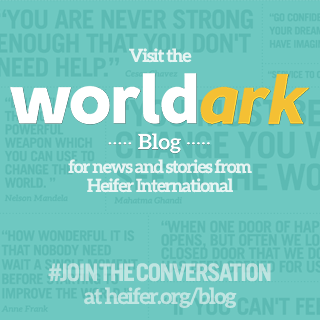 Heifer International acts a catalyst to help others help themselves. The donation of livestock improves nutrition for each member of the community, but is especially important to growing children. Income from excess animal products allows families to send children to school, purchase medicines, and save for the future. 2014 is Heifer International's 70th year in lifting families out of hunger and poverty while caring for the earth. Heifer's work has grown to benefit 20.7 million families in 40 countries. Stay tuned. This fall Heifer Sacramento will be holding a community celebration of Heifer International's 70th year.